The battle of Bannockburn in 1314 is known to every clansman around the world, so the Standing Council of Scottish Chiefs is proud to support this year’s 700th anniversary commemorative event – Bannockburn Live. Clan chiefs will join some forty clan and family groups from across the UK and overseas for this historic occasion. 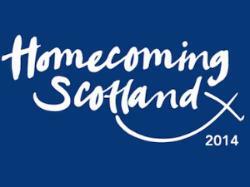 The two-day event promises to be spectacular – and the SCSC pays tribute to those staging it: Visit Scotland, Unique Events, the National Trust for Scotland and Clanranald Trust. The battle re-enactment will be the largest of its kind ever seen in the country. The battle of Bannockburn took place 700 years ago as the clans were evolving in the hills, glens, dales and islands of Scotland. Those clans and families with all their history are thriving across the world today, with millions of people claiming Scottish roots in countries like America, Canada, Australia, New Zealand and South Africa. We welcome, in particular, those who will cross oceans to be part of this special weekend. “2014 will be a great year for clanship for many people and a momentous year with the referendum. There are varying views amongst chiefs and clans over what is best for Scotland. Because of these differing opinions, the SCSC will not comment on independence. The Standing Council of Scottish Chiefs is a non-political body. The chiefs and heads of families are a disparate group, as are their views. 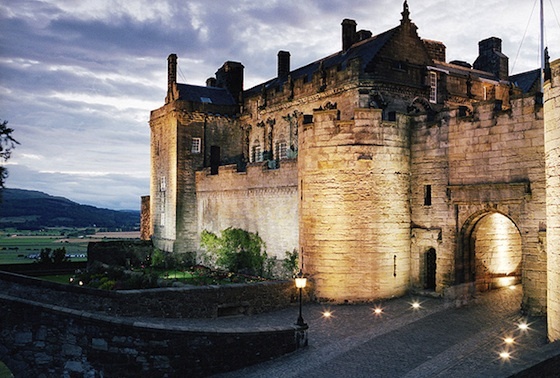 This entry was posted in News, Travel in Scotland on June 16, 2014 by Camilla Hellman. Scotland Best Educated in Europe …. The Scotsman this week wrote of the strengths of Scotland from unemployment to percentage of income spent on a mortage, and that Scotland is the most highly educated country in Europe with Scots the best-educated in the world. More than two-fifths of people aged 25-64 in Scotland are educated to college and university level, outstripping Ireland, Luxembourg and Finland at the top of the table. Mr Grice added: “In terms of the proportion of the population going into higher and tertiary education, Scotland actually has just about the highest in the world. Scotland also does very well in terms of people in the working-age population (16-64) that have a qualification at NVQ4 or above. Both of those are quite strong indications of a skilled workforce in Scotland. “At the other end of the scale, the proportion of people of working-age population with no qualifications is highest in Northern Ireland (17.2 per cent), with Wales (10.6 per cent) and Scotland (10.3 per cent) not dissimilar and England (9.1 per cent) a bit below that. The compendium also includes figures on “the Scottishness of Scotland”, revealing national identity is stronger north of the Border, with four-fifths (83 per cent) declaring their national identity as Scottish. Scotland also has the lowest unemployment rate (6.4 per cent) of the four UK countries and the second-lowest level of public-sector employment at 22.1 per cent compared with 17.4 per cent in England. This entry was posted in News on June 9, 2014 by Camilla Hellman. The countdown to Bannockburn 2014 is upon us and one of the leading events will be the March from the gates of Stirling Castle to mark the 700th Anniversary of the Battle of Bannockburn, Pipe Bands, Scottish Clans and Highland Dancers are invited to take part in an international parade through the City of Stirling. The March will be led by the Atholl Highlanders – Europe’s only private Army, Full details can be found at Pipefest’s website. The vision of thousands of pipers and drummers marching through Stirling will be a sight not to be missed, as the 700th anniversary of the Battle of Bannockburn is marked. 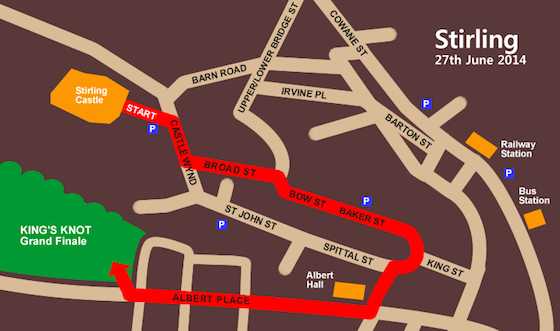 Pipe bands and individual players will take part. Individual players are being invited to join a massed pipe band block. The post-parade reception party will take place at the Albert Hall. 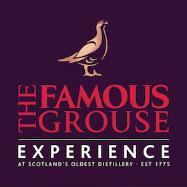 This entry was posted in ASF Events, Travel in Scotland on June 8, 2014 by Camilla Hellman. 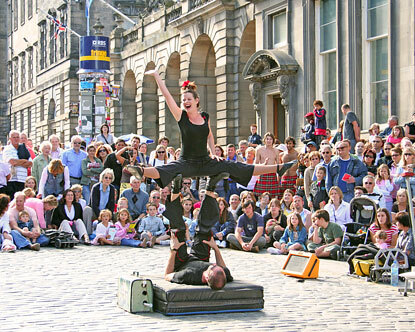 The Fringe this year offers 49,497 performances of 3,193 shows in 299 venues across Scotland’s capital city…. it is the biggest ever in the history of the Fringe. A number of new venues will be showcasing work this year. Riddle’s Court, the wonderful 16th Century courtyard house set behind the Royal Mile which has been undergoing extensive renovation and conservation work, along with La Belle Angèle on Cowgate, become new venues for performances. The Fringe this year welcomes shows from 47 other countries – up from 40 last year- , including major showcases from New Zealand and South Africa. The United States and Australia have the largest representation with 197 and 90 shows respectively. – 2014 celebrates 450 years since the great William Shakespeare was born and there are over 50 shows celebrating his work. Hamlet has the largest representation at the Fringe with no less than seven different interpretations being performed. – In recognition of 200 years since the second volume of Grimms’ Fairy Tales was published, various shows also revisit some of these classic stories. There is so much happenning – such an exciting time, as always to be in Edinburgh – with so much to experience and enjoy. This entry was posted in ASF Events, Travel in Scotland on June 7, 2014 by Camilla Hellman. This is a FREE event but registration is recommended. The event is also co-presented by Lower Manhattan Cultural Council, Make Music New York and Poets House, in association with American Opera Projects as part of the River To River Festival 2014. Celebrating the centenary of the birth of Dylan Thomas, ‘And Death Shall Have No Dominion’ is a once-off participatory singing event for a synchronized headphone choir in honor of his famous poem. Using an app that contains the accompaniment and synchronizes their mobile devices, participants set-off along 45 minute walking routes through lower Manhattan, singing the words of the renowned poet across the landscape of his final days. The performers begin their walk individually, singing just one part. Little by little, as routes converge, the song is revealed in its fullness until eventually, everyone assembles together for a grand choral finale accompanied by the Asphalt Orchestra, at Rockefeller Park. Participants are invited to reflect on Thomas’ words that famously declare triumph over death in the context of their own personal journey. Anyone can take part–it is unnecessary to read music or to have sung in a choir previously. This entry was posted in ASF Events on June 6, 2014 by Camilla Hellman.